Support and compression following acute and chronic ankle injury and instability. 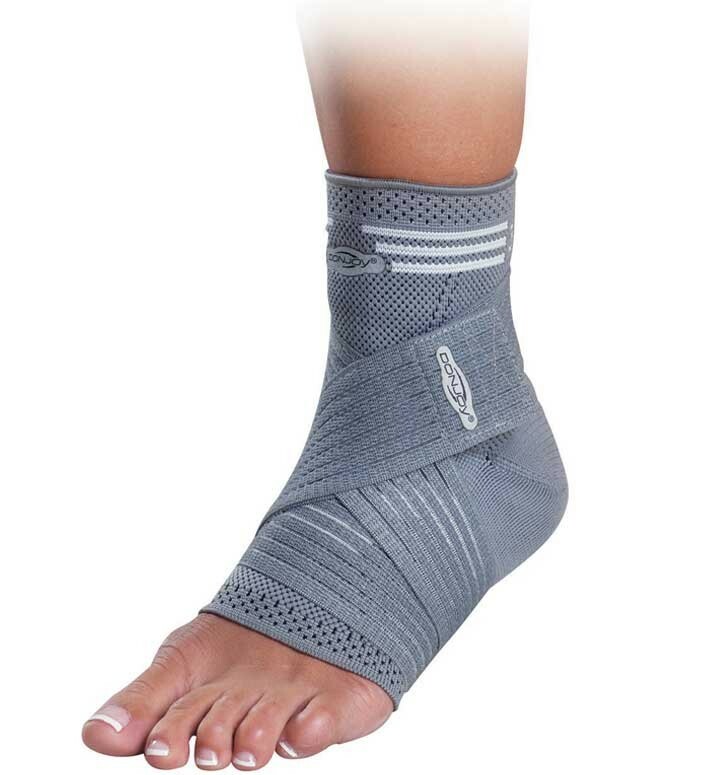 Support and compression of mild ankle. Protective and prophylactic use for sports activities. Anatomically knitted and multidirectional elastic fabric. Additional elastic strap for added compression & support. Fits either left or right ankle.